But what of the less obvious? What of beach safety for smaller children? This guide should help, along with the vast array of articles and reference guides for bringing baby to the beach. Florence. Plenty of soft sands in this area make for lots of delightful beach activities for kids. The waterfront is colorful and full of interesting sights, though shopping will likely bore them quickly. Just north of town, there's the quirky park with Darlingtonia plants – called Darlingtonia Gardens. These unique pitcher plants capture bugs and eat them. Also in this area, several attractions will delight the young ones, including some horseback riding companies. 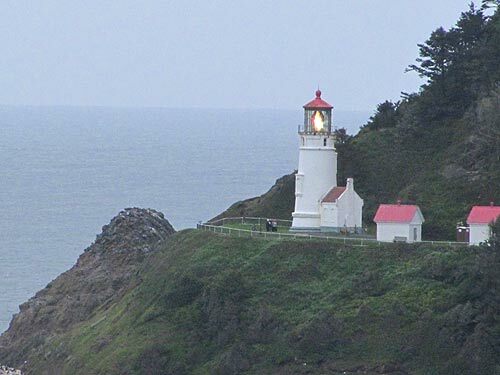 The Heceta Head Lighthouse will make for great memories for the whole family. 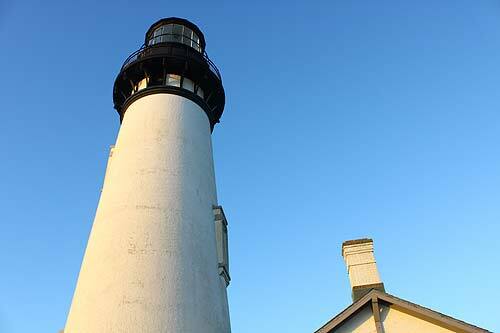 See the Florence, Oregon Virtual Tour, Map. Attractions for kids: beaches, docks, strange plants, viewpoints, lighthouse. Lane County and Yachats. 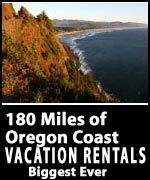 It's about 20 miles between Florence and Yachats, and this area is full of some amazing pocket beaches and hikes. Most of these beaches have a combination of rocky ledges and sandy areas, so you can at least keep them safe from sheer drop-offs. Lots of these beaches have incredible tide pool sections. 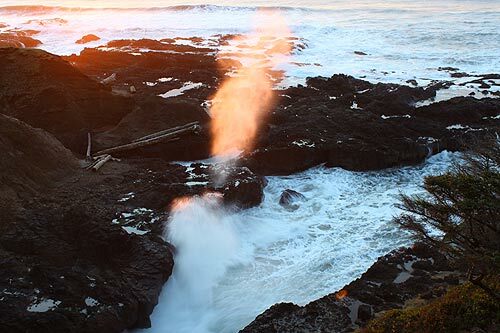 Highlights include the spouting horn at Cook's Chasm, many pullouts looking out over the ocean, a handful of picnic areas, and of course the always-impressive Devil's Churn and towering Cape Perpetua. Taking the children down too close to the Churn is not recommended for some smaller tots. 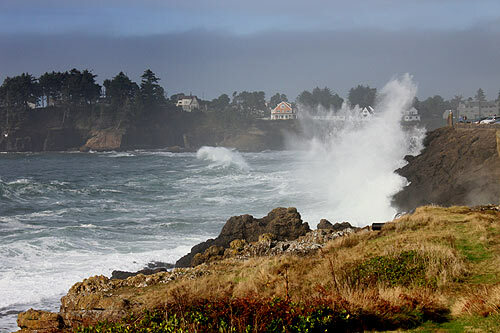 In Yachats, impressive oceanic drama is a constant here, as waves continuously slam against the rocky ledges. These are not always ideal for taking children onto, but plenty of places exist that allow you to watch at a safe distance. Numerous pocket beaches line this area, however, and often these are covered in agates. More at the Upper Lane County Virtual Tour, Map, and the Yachats Virtual Tour, Map. Attractions for kids: wild, intricate beaches, visitor centers, viewpoints, spouting horns, marine gardens, beachcombing. Waldport, Seal Rock. 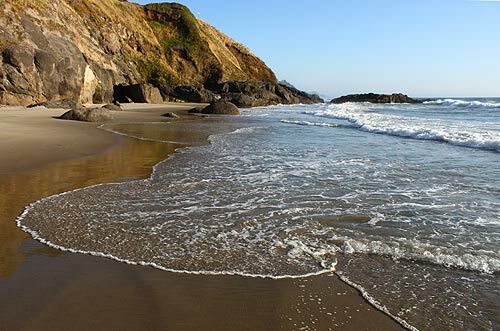 Mostly soft sand beaches exist between the northern limits of Yachats all the way to Newport – about 24 miles. This is interrupted briefly by the rocky labyrinths of Seal Rock, which kidlets will find fascinating. 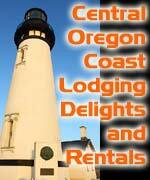 Other highlights include Ona Beach, Alsea Bay, and various campgrounds. 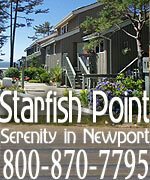 More at the Waldport, Seal Rock Virtual Tour, Map. 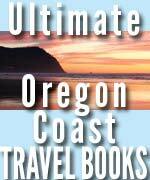 Attractions for kids: agates, intricate beaches, sandy beaches, crabbing, wildlife. Newport. 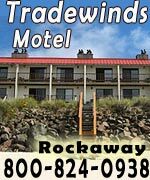 It's hard to go wrong with children here, with the Hatfield Marine Science Center, Oregon Coast Aquarium and numerous other kid-friendly attractions – most of which are along the Bayfront. Watching sea lions bark and carouse quite close to you is also a major kick in the pants. The broad, sandy beaches are perfect for the usual sandy activities too. More at the Newport, Oregon Virtual Tour, Map. Attractions for kids: aquariums, oddity musuems, candy stores, wildlife, crabbing. Depoe Bay – Gleneden Beach. 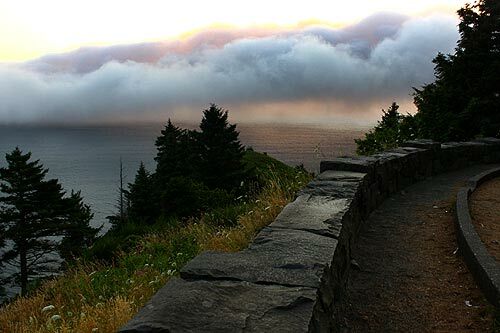 Major squeal inducers will be the Devil's Punchbowl, its neighboring marine gardens, views atop Cape Foulweather, and many sweet treats along Depoe Bay's buslting downtown. It's also the only downtown to feature a spouting horn which fires sea water into the air, and there's the always cajoling Whale Watch Center and the Shark and Whale Museum. Lots of whale cruises dock here too. North of here, the beaches of Gleneden Beach are a seemingly endless and placid stretch of sands. More at the Depoe Bay Virtual Tour, Map. Attractions for kids: whale tours, wildlife musuems, sandy beaches, rocky viewpoints, spouting horn. 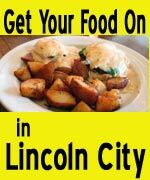 Lincoln City. 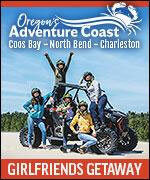 The seven miles of beach and Siletz Bay provide more than enough fun in the sand than kids may know what to do with. Some local hotels provide oceanfront pools. Various curio shops and ice cream parlors will keep them quite occupied as well. 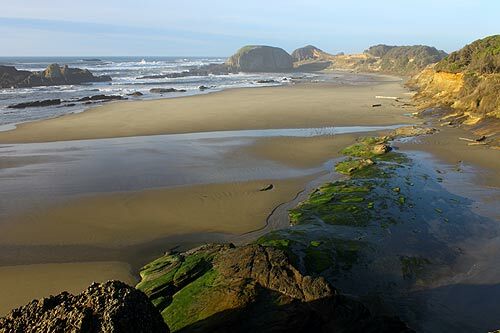 Just north of town, the tiny village of Neskowin provides beachy fun and esoteric sights for the whole family. 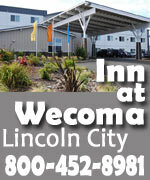 See the Lincoln City – Neskowin Virtual Tour, Map. 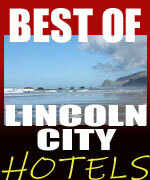 Attractions for kids: museums, shopping, candy shops, sandy beaches, wildlife. Three Capes Loop: Oceanside, Netarts, Pacific City. Three astounding capes, one lighthouse, an oddity called the Octopus Tree, a number of incredible viewpoints and numerous hidden spots make this area a constant source of amazement for children of all ages. Activities include crabbing, clamming, hiking and all manner of exploration – including some fascinating caves and a tunnel. 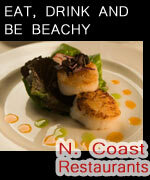 See the Oceanside, Netarts, Pacific City Virtual Tour, Map. 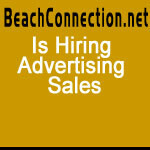 Attractions for kids: viewpoints, whale watching, birds, intricate beaches, sandy beaches, caves, climbing. Tillamook Bay, Garibaldi. Tons of fishing and crabbing delights abound here, though it veers inland and away from the beaches. During the summer and on special occasions, the Oregon Coast Explorer antique train rides are sure to make the little ones flip out. 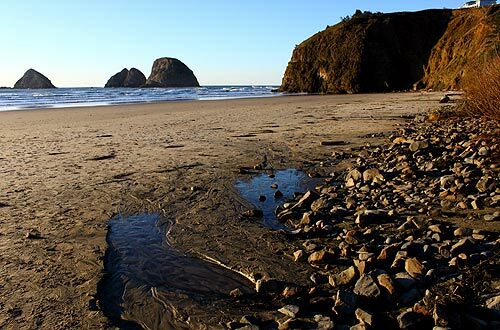 On the north face of Cape Meares sits the Bayocean spit – several miles of fluffy sand wilderness that kids will find absorbing, if they're into hiking a bit. The big cheese museum is in Tillamook, as is a petting zoo and the air museum. 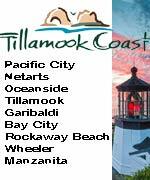 See the Garibaldi, Tillamook, Bay City Virtual Tour, Map. 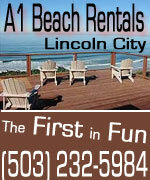 Attractions for kids: crabbing, clamming, fishing tours, musuems, railroad rides, bay, beaches. Rockaway Beach, Wheeler, Nehalem Bay, Manzanita. 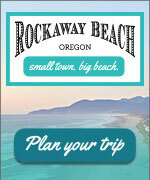 Starting with the seven miles of Rockaway's pristine sands, you have tons of castle-building possibilities. There are some small attractions for kids, including the fishing dock and the video game arcade. 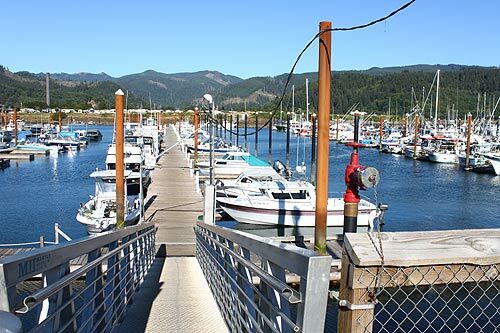 The Nehalem Bay boasts kayaking, fishing and crabbing, while Manzanita is simply a charming, quiet beach town with tons to do on its pristine sands. 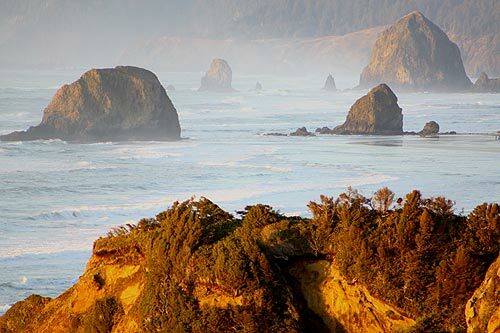 Incredible views lurk just north of here, along with major hiking trails on Neahkahnie Mountain and through forested Oswald West State Park. Surfing is big in Oswald. 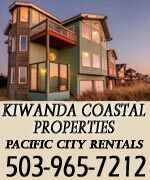 See the Rockaway Beach, Wheeler, Nehalem Bay, Manzanita Virtual Tour, Map. Attractions for kids: fishing, crabbing, beaches, viewpoints, docks, game arcade, scenic drive. Cannon Beach. The fun begins just south of town at the engaging sands of Arch Cape, and several other state parks with fascinating features, including tide pools and a big cave. 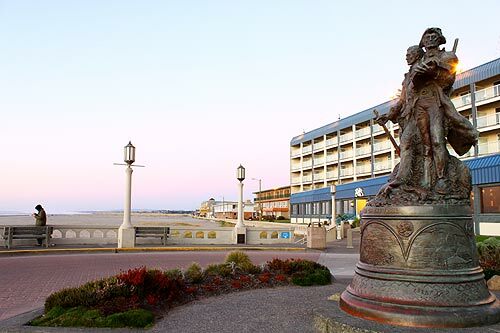 Cannon Beach itself is a mecca for bonfires and other kid-friendly activities, along with some lovely little shops and eateries geared towards kids. At the north end, Ecola State Park has nice views of the distant lighthouse a mile offshore, and you can hike over Tillamook Head from here. 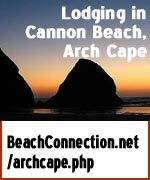 See the Cannon Beach Virtual Tour, Map. 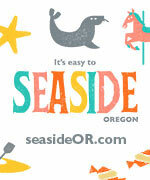 Attractions for kids: miles of beaches, hiking, candy stores, viewpoints, elk. Seaside. The undisputed King of Kid Friendly on the Oregon coast, when they say “families have been coming here for generations” they mean it. Bumper cars, video arcades, seasonal mini-train rides, sweet shops and more abound here. It's also the home of the famed Seaside Aquarium. More details at the Seaside, Oregon Virtual Tour, Map. 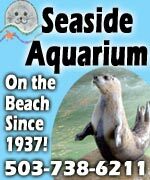 Attractions for kids: bumper cars, candy stores, Seaside Aquarium, video game arcades, clamming is best on this part of the coast. Gearhart, Warrenton, Astoria. Some 25 miles of beautiful beaches abound here, all of it soft, fluffy sands. 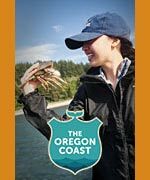 This part of Clatsop County, including Seaside, is where the most clams are to be found along the entire Oregon coast. 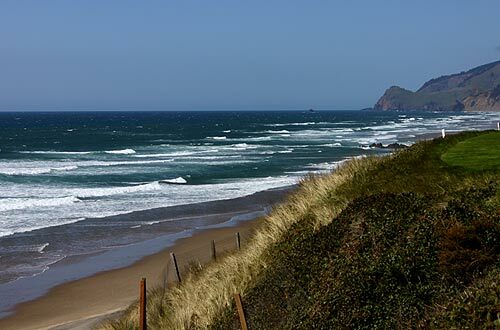 Driving on the beach is permitted in a few areas around Gearhart and Fort Stevens. 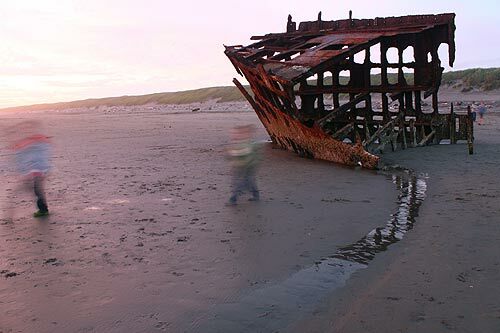 Fort Stevens hosts some wildly fun military bunkers and battlements at Battery Russell, and the kids will adore the Wreck of the Peter Iredale. Just north of town, historic Astoria will appeal to slightly older kids and teens with its movie locations and ancient, engaging buildings. 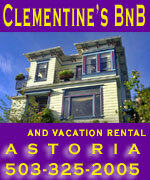 See the Astoria, Warrenton, Gearhart Virtual Tour. Attractions for kids: history museums, shipwrecks, miles of beaches, old forts.